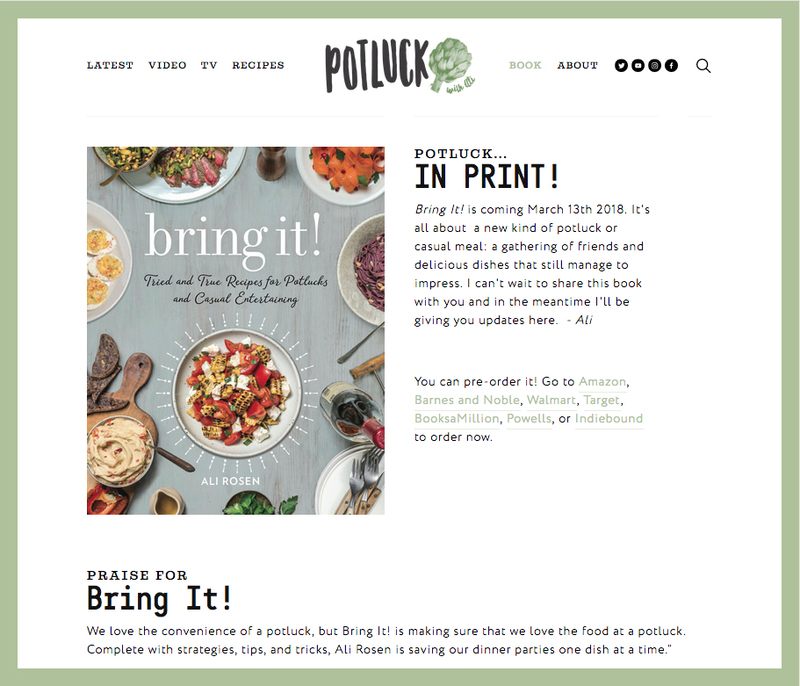 Ahead of the release of her first cookbook, "Bring It!," Potluck Video host Ali Rosen tapped Agentsie to help revise her existing logo to eliminate a singular reference to video - allowing for a wider range of media applications more reflective of the growth and diversification of her brand. Use of a playful font and existing artichoke icon kept the approachable, familiar aspects of the original mark while allowing for more seamless inclusion on projects across a variety of media channels. 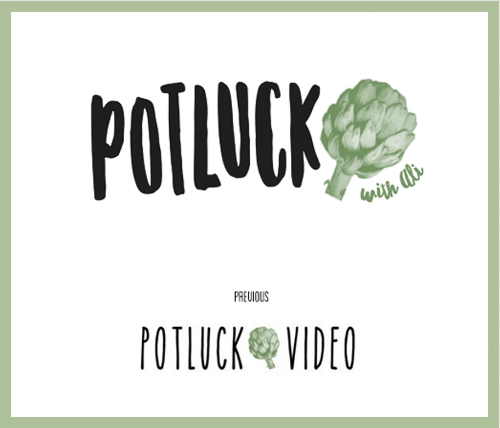 In addition to a new logo, a forward-looking website was designed to create a home for sharing not just video but blog posts, recipes, book promotion, TV appearances, press and more.